Careful what you post on Facebook, kids. The mayor may be reading. I was one of the reporters invited to ask questions at the Oct. 15 KSPS debate between Mayor David Condon and Shar Lichty. And there was a major issue I knew had to ask about. Lichty had filed an ethics complaint against two of Condon’s top staffers, City Administrator Theresa Sanders and spokesman Brian Coddington, alleging they’d lied about the circumstances of former police Chief Frank Straub’s ouster and former police spokeswoman Monique Cotton's transfer. 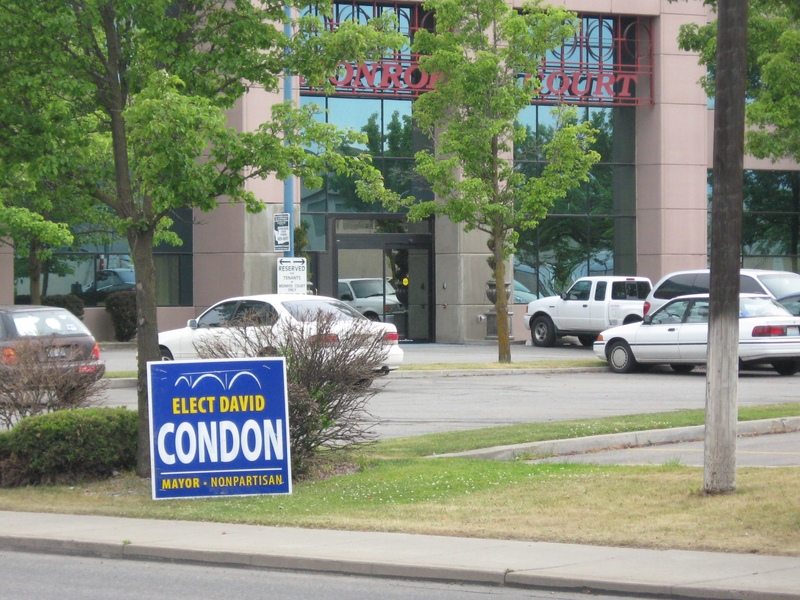 In his answer then, Condon suggested that the commission would find that both employees had been honest. In fact, after the election, the ethics commission found that Theresa Sanders had given false statements when she said that Cotton was given a nearly $9,000 raise as an “enticement” and that she was not "aware of" issues between Straub and Cotton. And later revelations, revealed in public records, showed that Condon knew very deeply that Sanders was very intimately aware that there had been issues between Straub and Cotton. He'd met with Monique Cotton privately to discuss those exact issues, and specifically tasked Sanders in April to help Cotton deal with them. In an interview with Condon earlier this week, I wanted to give him a chance to update his answer given during the debate. But the direction his answer went in initially surprised me. 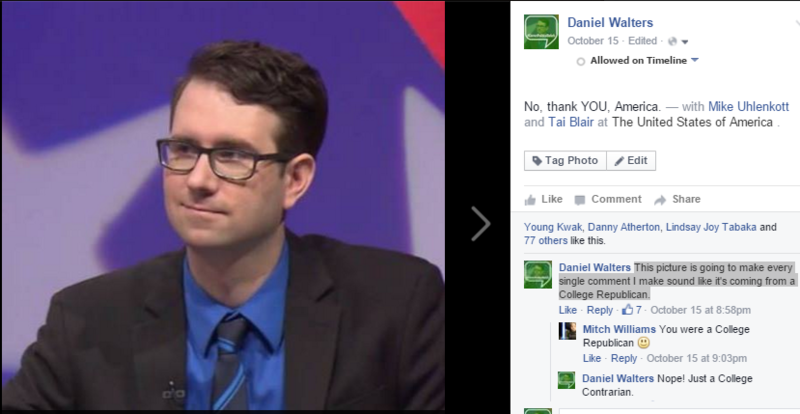 INLANDER: During the debate, I asked you about these ethics complaints, and you said you were confident, they were being truthful to what they knew at the time. You know the ethics commission unanimously determined Theresa Sanders was not honest about the circumstances surrounding Monique Cotton’s transfer. I wanted to know if you wanted to revise or react to your previous statements there. … I appreciate the ‘non-biased’ approach you have to, uh, ‘journalism.’ As you look at them, both of them you see, very fluid issues. Even two of them roped together on two separate topics. You see Brian’s was cleared. Hers, the exact timing of her comments at the time would, in my opinion, still show that, you know, it is that balance between the confidentiality of an employee and public’s need to know. Obviously the ethics commission — because Theresa stipulated that’s what she’s said at that time — validated that. So that statement was apparently out of bounds of the complete, uh, position that we were in at the time. Or Theresa was in at the time. Like I said, my day-to-day involvement where she was at what point, I was not involved on a daily basis by any means. 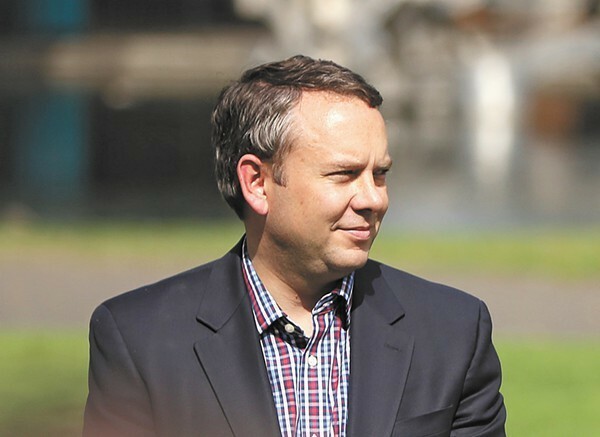 HIGHLIGHTED IN THE COMMENT FIELD: My comment that, when asked to react to the ethics commission, Mayor Condon pointed to as evidence of political bias. Was the nonpartisan mayor alleging that sartorial observation showed how radically politically biased I was? I tried to clear up any misconceptions. … the bias of your impression of politics. So it is what it is. I realize that. It was basically, what I was trying to say there, was that College Republicans have suits and ties and have American flags at the back of them. And that you never would. I get where you’re coming from. I’m fully aware of, that everybody has a bias, I’m just very surprised that it was that outspoken. Well, I didn’t.. I disagree with you on that. Drawing on the example of some of my favorite national reporters like Jake Tapper and David Weigel, I try to have a loose and open social media account. I believe the connections it allows me to make with sources far outweighs the risk. Similarly, Downtown Spokane Partnership president Mark Richard joined the fun. 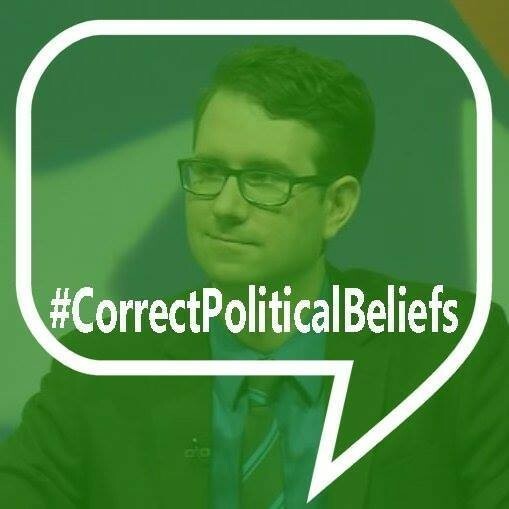 Fortunately, as of last week, my profile pic makes my political philosophy crystal clear: I only have #CorrectPoliticalBeliefs. What are those beliefs? The correct ones, obviously. My more recent Facebook profile pic takes a clear stand against believing the correct things, and against believing the incorrect things. As a matter of full disclosure, my Facebook account also contains photos of my amazing Pepper Shrimp Fettuccine Alfredo dish, my thinning hair, a high school prom picture that I photoshopped to include Forrest Gump, and an ex-girlfriend who ended up marrying someone more outdoorsy. The issue also came up at the end of the interview. Instead of skipping right to it, I want to post the transcript where I try, for nearly seven straight minutes, to get Condon to answer questions about the nature of the conservations he had with Theresa Sanders about her false statements to the press and the subsequent ethics complaint. INLANDER: As you’ve addressed this and, you know, assessed this, what sort of conversations have you had with Theresa about, you know, what was done right and what was done poorly? CONDON: Well, I think we’re now as we do this inquiry, whether we go to a methodology where you, like other large organizations do, where everything brought to our attention is investigated whether there is a request from the employee or not. I think you’ll find through this inquiry that that process has many things to contemplate. I mean, if you are going to do things and not honor the request of employees, what does that mean? Does it have a chilling effect on workplace environment? Meaning people decide they don’t want to, you know… So I think that’s one issue we need to look at. — Yes, how should you change future policy? Is it going to be, like I said, as we’ve even reviewed it over the last couple months, do you go to a policy of centralization of all of this? Our current policies all deal with it at the lowest level, deal with it with the supervisor, with the direct supervisor. And as you look at it, some large organizations have gone to centralizing it, some have left it the way it is now with supervisors taking on that responsibility. Is it just mostly on the future policies, or did you talk to her about the, you know, about the issues as far as honesty that the ethics commission identified? Is this something you've had conversations about? I think it’s critical that that balance is necessary, that we need to hold the public’s trust in our work. I think you’ve found in her stipulation, that at the time, that that balance, you know, is to the public’s right to know versus the individual’s right to confidentiality. What did you say to her about those comments that she made? You know, again, as you look at this, that’s exactly what we’ve talked about. As we have that balance, obviously the public is going to, viz-a-viz the ethics commission, the public’s right to know over the confidentiality of a single individual. And I think as we embark going forward, that our employees know that now, or other citizens or individuals. Did you have a conversation about the ethics commission complaints? …so you’re not put into the ethical position of answering to the confidentiality of an individual, versus that of the public. You’ll see even in our handbook, it's Section H, it talks about confidential information brought to your attention by an individual. So how do we balance that? I’m just wondering if you said she made the right call or the wrong call or you didn’t address that at all. You know, obviously the commission has spoken, I support what the citizen commission has spoken. But as you look at the issue, what is the propensity of our commitment to the confidentiality of our employees? I've got a multitude of— I talk with Theresa obviously a dozen of times a day. This is a valid issue that you’re bringing up that I think has a multitude of answers, or of solutions. But also we need to weigh this issue of the commitment to our employees and at the same time the public’s right to know. So that’s what will embark on in our inquiry and use it as an example. [Spots someone at the door and calls to them] Come on, you can open up, we’re ready to go. Like I said, I know these are the things you’re dealing with, those are the balances, essentially, you’re dealing with. I’m just wondering if — there are times, I have a conversation with my boss about decisions I made, and he says,“Daniel, I think you made the right call here, or Daniel, I think you really screwed up here.” And I’m wondering if you had that conversation with Theresa. So I'm just wondering, could I get your counseling when [Inlander publisher] Ted [McGregor, Jr.] sits down with you and gives you all that? Like, you know, the issue that you're at is you have a multitude of conversations. I support where the ethics commission comes down. I think the weight going forward— and that’s where in our organization, learning from this, how do we address personnel matters going forward? And how do we balance a employees expectation of confidentiality with the public’s expectation of their right to know, you know, personnel issues, which is wholly different in the public sector than it is in the private sector. Right, because no one’s voting for me, you know, certainly. And you know, I’m open. You know, you can ask me questions and I’ll answer them, for sure. I try to be as open as possible. Again, I just realize as people come to the table, there is a multitude of things that influence their opinion. And that’s expressed the way it’s expressed. I would say that the assumptions you make about my political beliefs are incorrect – it sounds like you’re making assumptions about them, and they are incorrect. To me, it is what it is. It doesn’t bother me necessarily, it just kind of amuses me that that was taken that way [laughs] by the mayor of Spokane! Well, I mean, when it’s put out there, I guess the assumptions are the same. There’s an assumption, that you obviously have of this. And so I can appreciate that. And I’m a person who likes to look at solutions. If I was wearing dreads and Tie-Dye I might say, “Oh, I look like a college Democrat.” [laughs awkwardly] You know that’s where I was coming from. You can find our profile of Theresa Sanders and the ongoing scandal inside City Hall in this week's issue, hitting newsstands tomorrow.